Virtual Vision Computing - Wausau WI provides email marketing services. 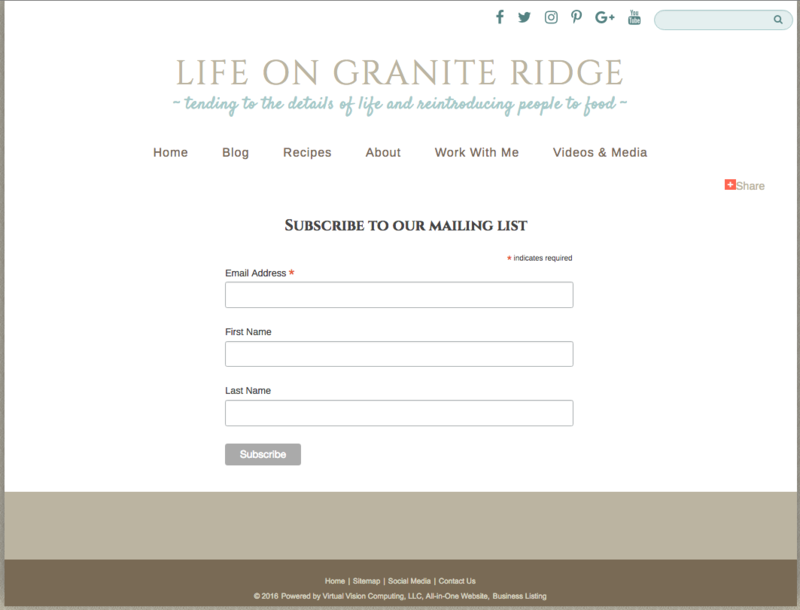 We just launced a new campaign for Life on Granite Ridge, so people who view the website they can subscribe to her mailing list. To sign up click here.